What's it like to exercise on the North Pole? Well hop aboard and come along! 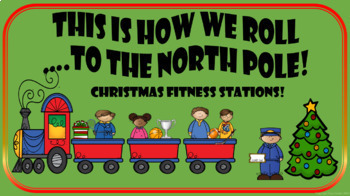 Students will hand in their tickets and take turns riding the train through the North Pole while their classmates are hard at work at these 10 fitness stations. 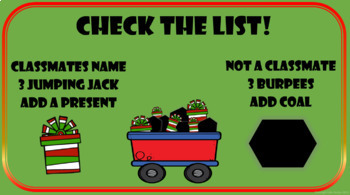 Activities include: The Santa Slide, Test the Toys, Stack the Presents, Snowball Toss, Candy Cane Forest, Stuff the Sac, Check the List, Build a Snowman, Ice Skating, and a very special surprise in the Break Room. Your students will love the idea of taking the train around the gym and seeing their classmates hard at work! 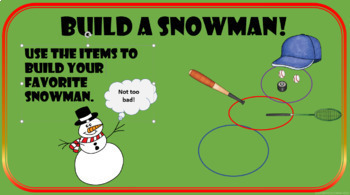 This could also be adapted for the classrooms and holiday parties.